Have you felt that you paid too much for auto insurance? Didn’t want to go through the hassle of finding insurance quotes at much better rate? Well, Safeco car system would provide you cheap car insurance quote every time when are in need of it. Safeco covers array of liabilities for insured ones if they are responsible for the accident. Safeco is not similar other cheapest car insurance companies like GEICO, Progressive, Esurance or Nationwide as they sell their policies online through their sales force network of more than 10,000 independent agents and agencies, whereas major insurance companies as listed above have a direct-to-consumer relationship. So if you need a car insurance from Safeco, you need to work with a licensed independent agency or an agent. 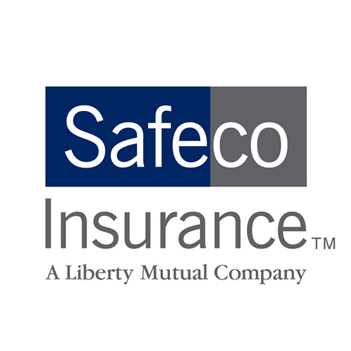 Liberty Mutual Group, the parent company of Safeco is an insurance giant and one of the seventh-largest auto insurance provider in the country. Even though you can apply online for a simple or a complicated policy, it is ultimately forwarded to an independent agent before the Safeco car insurance quote gets finalized. This agent will call you to gather more details and will let you know more details about the policy and clarify all your queries you have on the policy. But when it comes to pricing, it is often true that agent-driven insurance policies are more expensive than the direct-to-customer company policies. Safeco has been providing auto insurance policies for more than 85 years and no matter what type of car you have including a sedan, minivan, SUV, station-wagon, hybrid or a pickup truck, you can be 100% guaranteed that you will always be provided with a personalized coverage policy that fits all your requirements. And the Safeco car insurance reviews has been fairly positive among customers. A standard car insurance policy from Safeco provides all the basic options including liability protection and other coverage options that is required by the law. The policy covers damage costs when your car meets with an accident when driven by you or others. You can also go for additional coverage options to enhance your policy to provide extra protection to your car against damage, emergency, repairs etc. Make sure to sort out all your queries with your local independent agency about the product details and which coverage options are best for you. Pet coverage for veterinary expenses or death benefit if your cat or dog is injured or dies in a collision. Based on rankings and reviews and also after comparing progressive insurance plans with many other plans from other companies, we can easily provide 3 out of 5 stars for Safeco as it provides affordable and low-cost insurance policies when compared to other car insurance companies. Based on these factors, Safeco is considered to be slightly behind the other companies, as the premiums are slightly on the higher side, due to the insurance is handled by independent agents and the premiums also includes the commission for those agents as well. And Safeco Insurance ranks 3.7 out of 5 stars in terms of customer satisfaction. The financial stability of the company determines, how soon the claims can be processed. Safeco has very good financial record and according to the financial rating agency, A.M Best, Safeco is considered to be financially strong and the claims are processed and settled quickly. According to reviews from many credit rating companies, Safeco has been provided 4.2 out of 5 stars.